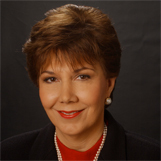 Linda Chavez is chairman of the Center for Equal Opportunity, a non-profit public policy research organization in Sterling, Virginia. She also writes a weekly syndicated column that appears in newspapers across the country and is a political analyst for FOX News Channel. Chavez authored Out of the Barrio: Toward a New Politics of Hispanic Assimilation (Basic Books 1991), which the Denver Post described as a book that “should explode the stereotypes about Hispanics that have clouded the minds of patronizing liberals and xenophobic conservatives alike.” National Review described Chavez’s memoir, An Unlikely Conservative: The Transformation of an Ex-Liberal (Basic Books 2002), as a “brilliant, provocative, and moving book.” Chavez’s latest book, Betrayal: How Union Bosses Shake Down Their Members and Corrupt American Politics (Crown Books, 2004), describes how unions divert hundreds of millions of dollars into political campaigns, often without their members’ knowledge or permission, and the public policy consequences that ensue. In 2000, Chavez was honored by the Library of Congress as a “Living Legend” for her contributions to America’s cultural and historical legacy. In January 2001, Chavez was President George W. Bush’s nominee for Secretary of Labor until she withdrew her name from consideration. Chavez serves on the Board of Directors of ABM Industries, Inc., where she chairs the Compensation Committee, Pilgrim’s Pride, and IDT Capital, a subsidiary of IDT Corporation, as well as on boards of several non-profit organizations. Chavez is also active in the Republican Party and chairs the Latino Alliance, a federally registered political action committee. Chavez was born in Albuquerque, NM, on June 17, 1947, received a Bachelor of Arts degree from the University of Colorado in 1970. She is married and is the mother of three sons. She currently lives in Purcellville, Virginia.